A virtual legal solution for the fast-moving entrepreneur. You need access to a real attorney your business can rely on anytime, anywhere, for any question. 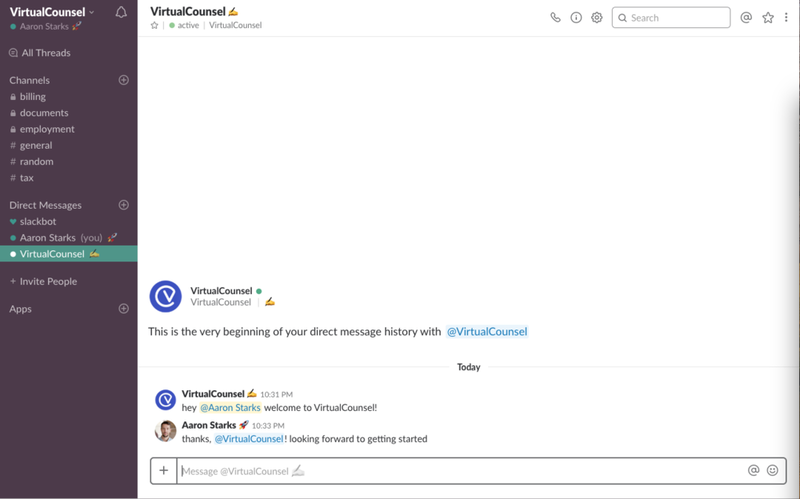 Attorneys @VirtualCounsel on-board to your team directly through your existing Slack workflow, so at anytime and from anywhere you can ask them any question.